After preparing your dog for a dog show the last thing you need is to be faced with adverse weather conditions either travelling to the show or when you arrive. To have to get a dog from the car park to the benching tents during a storm or when the ground is boggy and churned up by hundreds of other dogs and exhibitors the day before is one of the biggest worries of an exhibitor. In the days leading up to a dog show check the weather forecasts regularly. Check not only for the area of the showground but also the route you will take to get there – a few hundred mile journey can take you through many different weather situations. Of course on the day of the show it is bound to have changed, that is the nature of UK weather, so perhaps it’s best to pack for every eventuality. Leaving in plenty of time for the show – even if it’s the middle of the night – is better than speeding through torrential rain and the possibility of an accident. Remember your dog will have to be taken for a walk during the journey so if there is a break in the bad weather use it to stop and let your dog stretch his legs. Wherever you do stop remember to have a bag ready to pick up after the animal. 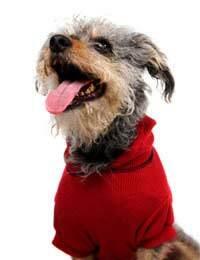 Most dog show exhibitors carry a coat and possibly boots for their dog depending on their size and length of coat. These coats are not a fashion statement, please do not mistake them for the silly outfits that celebrities seem to dress their designer pooches in, no they are sensible shower proof coats, often with leg covers that will protect the dog from the rain so they arrive at the show in hopefully a dry state. Boots will protect the longer haired dogs from the inclement weather and muddy show grounds that are frequented during the summer months when we should have brilliant sunshine. Apart from the rain another enemy of the exhibitor and dog can be the bright sunshine. Yes it is nice to show a dog on a sunny day but too soon the animal can over heat and get sunstroke. Keep him in a cool shady area and ask if the weather gets too hot if your breed can be judged under cover. Also remember while looking after your dog that you can get burnt so make sure you have used a good sun block. So, apart from observing weather forecasts for the week leading up to the show and expecting sunshine all day long you are caught out in the rain and have been caught out unprepared for the UK weather. It’s one hour to the start of judging, your hairy dog is plastered in mud up his legs and he is wet all over – what do you do? Ignore the urge to run screaming for the car park and drive home. Instead borrow towels and pat the dog as dry as possible without scrubbing at his coat as it will only matt and tangle. Rinse off his feet so they are free from mud and pat as dry as you can. Kitchen paper makes very good absorbent towelling and is always worth having in your grooming bag. Use this to absorb as much water as possible. Whilst you are doing this have someone visit the trade stands that are to be found at larger shows. Some of them have hair driers on display. Throw yourself at their mercy – many are dog owners themselves and it is often heard of for them to help out when show grounds have disasters such as storms and snow. Many exhibitors carry talcum powder, chalk or corn flour which is used to dry the faces of dogs before going into the ring. Use some of this in the coat to dry it if it is still damp. Never use on a wet coat as it will just get very messy and not dry. Leave the chalk for a while and them brush out well. If at the end of following these instructions you dog is still damp do not worry too much – you will not be alone and the judge is there to judge the dog as a whole not the merits of a damp coat.